In a sweeping initiative to make the population healthier, America is doing some things well and failing in other ways, according to a progress report by the U.S. Centers for Disease Control and Prevention. On the positive side, America is seeing improvements in: maternal and infant health; the proportion of people who meet weekly goals for physical activity; and the proportion of teens who use alcohol, tobacco or drugs. But one of the striking failures is in the area of mental health and mental disorders, in which reviewers said they found little improvement in progress toward the program’s targets. In fact, mental health had the highest percentage of objectives in which things are getting worse, according to the report. The mixed bag of conclusions about Americans’ health emerge from the CDC’s Midcourse Review of the nation’s Healthy People 2020 program. The agency measured progress toward a range of goals set in 2010 in 42 topic areas, from adolescent health to food safety. The age-adjusted suicide rate increased from 11.3 to 12.6 deaths per 100,000 population from 2007 to 2013. The proportion of students in grades nine to 12 who attempted suicide and required medical attention rose from 1.9 percent in 2009 to 2.7 percent in 2013. The proportion of students in grades nine to 12 who engaged in what the CDC calls “disordered eating behaviors to control their weight” increased from 14.3 percent in 2009 to 16.7 percent in 2013. The proportion of adolescents aged 12 to 17 who had had a major depressive episode in the past 12 months increased from 8.3. percent in 2008 to 10.7 percent in 2013. There was little to no detectable change in the proportion of adults experiencing major depressive episodes. Here are some highlights from other parts of the Mid-course Review. Access to health services. The percentage of people under age 65 with medical insurance rose from 83.2 percent in 2008 to 86.7 percent in 2014. Environmental quality. There was a decrease in the number of days the air quality index crossed an unhealthy threshold, and there was a reduction in the number of children aged 3 to 11 who were exposed to secondhand smoke. Injury and violence. The age-adjusted rate of injury deaths decreased from 59.7 per 100,000 population in 2007 to 58.8 in 2013. The rate of homicides also decreased. Nutrition, physical activity and obesity. More adults are meeting the physical activity guidelines for aerobic and muscle-strengthening activity. Maternal, infant and child health. Infant deaths declined and so did rates of births before 37 completed weeks. Oral health. The proportion of people who visited a dentist in the previous year declined more than 2 percentage points to 42.1 percent in 2012. Substance abuse. The number of teens aged 12 to 17 who had used alcohol or illegal drugs in the previous 30 days decreased from 18.4 percent in 2008 to 15.9 percent in 2013. But there was little or no change in the proportion of adults 18 or older who had engaged in binge drinking in the 30 days before the survey. Tobacco. The proportion of adults 18 and older who are current smokers declined from 20.6 percent in 2008 to 17 percent in 2014. Also, the proportion of students in grades 9-12 who smoked in the 30 days prior to the survey fell from 19.5 percent in 2009 to 15.7 percent in 2013. 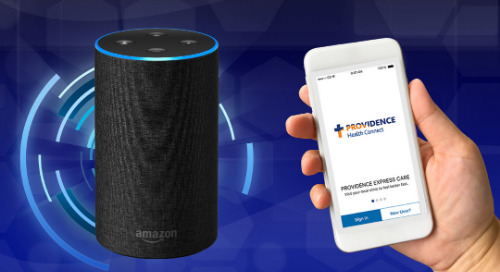 As always, if you have concerns about any area of your health or the health of others in your family, you can find a Providence provider here. You can find the CDC’s “Healthy People 2020 Midcourse Review” on the agency’s website, with sections broken out by topic. An overview of the Healthy People program is provided by the National Center for Health Statistics.